0.3: The number of seconds remaining when Miloš Simić scored Serbia's quarter-final winner against Ukraine. 1: Kazakhstan made their first finals appearance and became the only debutants ever to claim a medal since the inaugural 1996 edition. 5: Serbia captain Marko Perić made five goals, the most assists of anyone in Belgrade. 6: Five players finished the finals on six goals, but it was Miguelín and Mario Rivillos of Spain that shared the adidas Golden Shoe on assists ahead of team-mate Alex, Portugal's Ricardinho and Serik Zhamankulov of Kazakhstan. Ricardinho ended up overall top scorer including qualifying with 11 – at least two of which ended up going viral thanks to their spectacular nature – despite his team's quarter-final exit. 7: Spain reclaimed the title to make it seven wins from ten editions of the tournament; the only exceptions their losses in the 1999 final and the last four in 2003 and 2014. Seven goals was also a record haul for a final. 10: The number of players in the finals from Araz Naxçivan, all in the Azerbaijan squad, the most for any single club ahead of Kairat Almaty and Lokomotiv Kharkiv with nine. 11: The highest-scoring game was Azerbaijan's 6-5 win against the Czech Republic, the Czechs equalising three times before Rafael won it with 40 seconds to go. 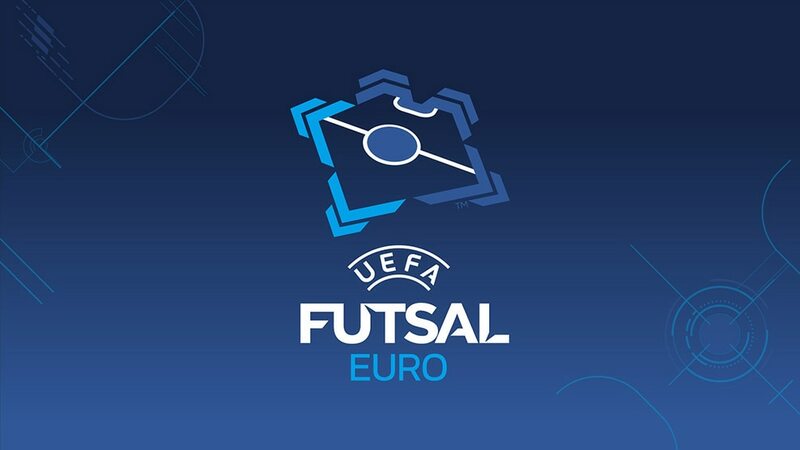 19: The number of players in Belgrade who are with Benfica, Inter FS, Pescara and Ugra Yugorsk, the four clubs taking part in April's UEFA Futsal Cup finals in Guadalajara, Spain. 25: The number of goals between the 36th and 40th minute of the 20 matches, more than any other five-minute period. 27: Spain's final win against Russia was their 27th in a row since losing in the 2014 semis after extra time to the same nation in Antwerp. They also equalled the record of 27 goals in a final tournament. 46: Debutants Scotland were among a record 46 entrants, 12 of whom reached the final tournament. 129: The number of goals throughout the finals, a record. 2018: The next final tournament will be hosted by Slovenia in Ljubljana. 11,161: All five of Serbia's matches were capacity crowds. 113,820: The total attendance for the 20 matches at Arena Belgrade, reaching six figures for the first time in the competition's history after passing the 95,609-mark from Croatia in 2012. Five of the ten days were sell-outs.